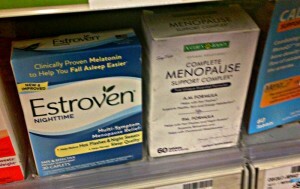 You are here: Home / Live Well / Hot Flashes / Can Mother Nature Cure Your Hot Flashes? Can Mother Nature Cure Your Hot Flashes? I was blow drying my hair when my first hot flash hit. My heart rate accelerated and I could see the red-skin flush moving slowly up my neck. Little beads of sweat broke out on my chest, back and brow. However, in the weeks that followed night sweats visited my body more frequently than the hot flashes. Waking up to hot-cold-hot-cold was more annoying than the daytime hot flash, so I quickly looked for ways to ease the misery and get a good night’s sleep. Don’t waste your money on…. In five controlled studies, no consistent or conclusive evidence was found that red clover leaf extract reduces hot flashes. As with black cohosh, however, some women claim that red clover has helped them, but studies utilizing animals have raised concerns that red clover might have harmful effects. Stay tuned for more information with regard to red clover and hot flash control. Rumor is that new study results are expected soon. Dong quai has been used in Traditional Chinese Medicine (TMC) for more than 1,200 years, but studies show little to no benefit for hot flashes. Kava may decrease anxiety, but there is no evidence that it decreases hot flashes. It is important to know that kava has been associated with liver disease. The FDA has issued a warning to patients and providers about kava because of its potential to damage the liver. Flaxseed contains lignans, also known as a phytoestrogen. One study showed that eating two tablespoons of ground flaxseed per day for six weeks reduced hot flashes by 50%.² Because flax has so many other health benefits, you can’t go wrong by trying this remedy. You’ll also enjoy the increased fiber intake, antioxidants and omega 3–fats in your diet. I eat flaxseed daily. Try it in your morning smoothie or oatmeal. Soy is controversial, but research shows that those who eat the most soy may have the fewest hot flashes. I’m a proponent of eating more soy and less meat. If you feel strongly about soy being contaminated by genetically modified organisms (GMO’s), purchase Organic or Non-GMO certified soy products. Read more here about my recommendations with regard to adding soy to your diet to help with hot flashes. Maca seems to be hitting the scene as a magical herb and is reported to help ease hot flashes and other menopause symptoms like insomnia, depression and memory loss. Plus it has been shown to help with libido. Okay, now I’m intrigued. You can buy it at health food stores in capsules and powder. Recommended dose is 1,000-2,000 mg per day.³̓ ⁴ Try it in your smoothies as it has a malt-like flavor or buy it in capsules. I’m a huge fan of fish oil supplements and evening primrose oil. We need the omega- 3 fats found in these oils for so many health reasons. Evening primrose oil has been found to decrease the intensity of hot flashes, but not necessarily the frequency.⁵ It’s still worth a try as this healthy fat has anti-inflammatory benefits. Shoot for 1,000 mg per day. Wild yam cream is found easily in health food stores and is marketed as a natural source of progesterone. 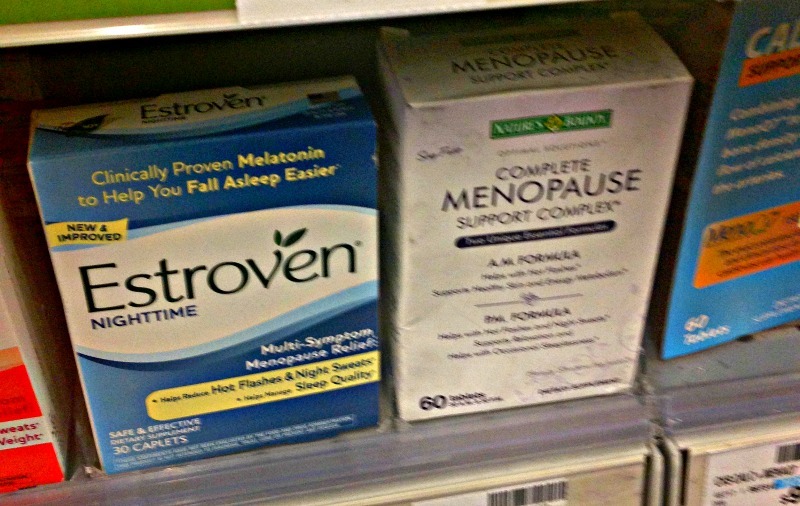 You need to know that it does not contain progesterone and the body cannot convert it into progesterone, either. Some women apply wild yam creams to their skin to reduce menopausal symptoms and hot flashes. In fact, one study showed women were able to reduce their hot flash symptoms and night sweats.⁶ Personally, I would use the real stuff–natural progesterone cream. If you want to try this route, discuss it with your doctor as you can’t actually know how much progesterone you are getting without having a blood progesterone test. Because of this, some experts are concerned about use of over-the-counter progesterone cream without your doctors consent.